I am not a big player of first person shooter (FPS) games, but many games these days have excellent story lines and watching an excellent player work their way through the game can take on some aspects of watching a television or movie drama. Frankie takes this to a new level with both a critical eye towards the games themselves and excellent commentary that actually adds something to the game itself. His video quality is also top notch and looks great on our new HD LCD tv. 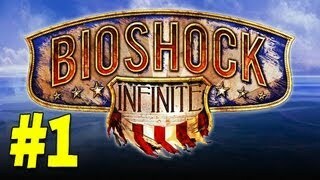 One of Frankie’s latest play through is the new game BioShock: Infinite. This game looks absolutely gorgeous in its art design and the game play, while a bit gory, is excellent too. It is a pleasure to watch Frankie’s play though of this and absorb the story through his actions. Frankie also does a lot of videos of DayZ, a zombie scenario FPS based mod for the ARMA II engine. In these playthroughs he engages in a bit of role play and storyline which adds a lot to the videos. If you are wondering what the state of the art is in gaming today, Frankie’s videos are a great place to start. When sharing YouTube videos, we often just link to the entire video and let people decide what they want to watch. While this is fine for short videos, sometimes we would rather refer people to just a specific portion of a much longer video. Perhaps we are highlighting a quote, tip or idea. YouTube provides some basic tools for specifying a start time when linking or embedding a video, but with the addition of a few parameters to the video URL, you can direct viewers to a very specific segment. If you check the checkbox, you can either enter in a time, or the time will be taken from the point where you are currently viewing in the video. 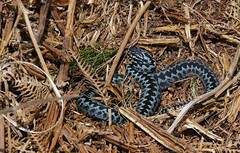 This results in a URL in the form of: http://youtu.be/E-GekEZOwLQ?t=11m54s . The video will start playing at this point and continue unit the end. If you want want to specify both a start and end time, then you will need to add a few different parameters to the YouTube URL. 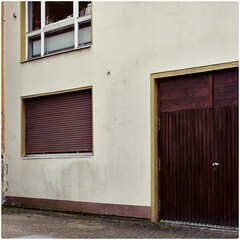 In this example, you would need to replace the bracketed sections above with the appropriate settings. This could link people to the appropriate video, launch it full screen and start playing at the appropriate spot when they click Play. To embed a video in your blog or web page which does the same thing, you can include the start and end parameters in the standard YouTube iframe embed code. While making these embeds of specific video section does require adding a little information to the standard embed, it should be straightforward enough for anyone to accomplish. Do you have further questions about YouTube linking and embedding? Add your questions and comments below and I will add additional information. Jim provides a great article on live streaming, what to use and who to prepare. Check it out! While live video broadcasting is within the reach of anyone with high-speed broadband, “live” poses unique technological and performance challenges. Senator Marco Rubio’s parched, water break delivery of the GOP response to the State of the Union will be remembered as a short-lived Poland Spring internet meme. But what it really demonstrates is just how difficult it can be to connect to millions, in the solitude of a dark empty room through the unforgiving, unflinching lens of the live TV camera. 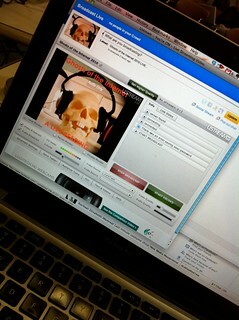 Live web video streaming can be equally daunting. In this post, we’ll look how it’s getting done in the real world and how you can make it work for you. This is a new subscription for me, as I only discovered Sorted YouTube Channel and web site with the launch of Jamie Oliver’s Food Tube “network” on YouTube. They are a very personable group of guys and the food they highlight is quite good. With my work on #KitchenParty, I am finding that I am adding a lot of food-based subscriptions to my reading and viewing mix. Welcome to SORTED…The online food hub for beginners and pros. There are hundreds of quick, easy, delicious recipe videos plus a whole load of skills, tips & tricks and cool food stuff from around the web. Whether you want to get smarter at cooking, save some money, or just have a good laugh in the kitchen, we can definitely get you SORTED. I am always looking to branch out in my subscriptions, so it is great to find some new YouTube programming that isn’t gaming or geek related. Cooking Stoned are short (2-5 min) cooking video on a wide variety of dishes. One of the best elements is James seems to be enjoying himself a lot, which is always important in any video. His dishes fit within my fussy eating habits for the most part and some reach just far enough beyond that I am tempted to check them out at least once. Cooking Stoned is “snackable content” in both senses of the term. Make is a print magazine, but it also has a huge presence on the web as a blog and also a YouTube Channel. I am always amazed at the great content I find in both the blog and the YouTube Channel. I don’t DIY nearly as much as I would like, but Make encourages me with great ideas for projects that I might like to build — everything from hands-on woodworking and the creation of functional art pieces to electronics projects using the tiny Arduino computer system. 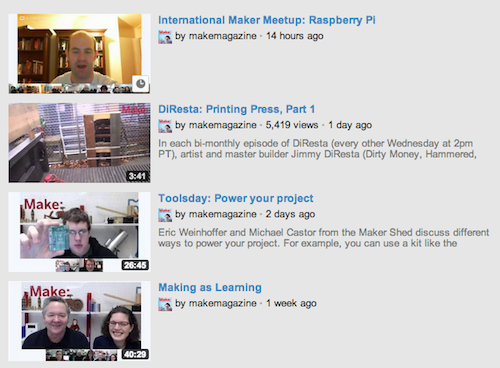 Subscribe to both the the blog and the video channel to get everything the Make has to offer. This is another one of my Minecraft (and other gaming) subscriptions. 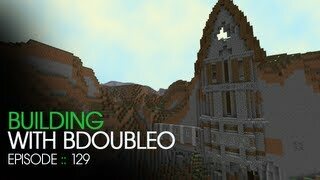 BDoubleO (John) is a member of the same Mindcrack server as Vintage Beef, KurtJMac, and PaulSoaresJr, mentioned earlier in this series. He is very funny, highly personable, and also great at sharing his experiences of transitioning from his previous contracting job to a full-time YouTube producer. Not only do I enjoy his Minecraft videos, but I have also learned a lot about how to manage and fill a profitable YouTube Channel. BDubs has several series currently in production including Building with BDoubleO, Mindcrack Server and Feed the Beast (with all his fellow MindCrack members) and, for those not interested in Minecraft, Race to Commander :: B-Team Black Ops II and NBA 2K12 Season 2. John’s collaborations with recent Mindcrack addition, GenerikBB are greatly entertaining and I always look forward to those special B-Team episodes. Finally, BDoubleO also holds regular live streams, Cocktail Tuesdays, where he interacts life with his audience while playing a variety of games. Between the building, the talking the fighting and the playing, BDoubleO presents an excellent and entertaining channel. When you need to capture HD footage of wild mountain bike ride, that bitchin’ wave or the cool rappel down the mountain side, GoPro has become the “goto” brand for video recording. Shoot in hostile environments and even underwater with their variety of attachments and cases. Search Youtube and you will find no end of video shot with the GoPro over the last 2 years. If you are crazy active, and want to catch some of your wilder moments on-camera, the GoPro is probably where you need to be looking. I have always been an active user of online video conferencing systems including Skype and others. Lately, though, my use has picked up as I spend a lot of time in Google Hangouts and even participate in a weekly food show entitled Kitchen Party, over at Bakespace.com. Producing a show for the public means you want the best picture quality possible. In the past, video conferencing tools have always looked a little fuzzy, a little dark and a little pixelated. This isn’t true anymore, though. With the latest systems, like Google Hangouts and the most current versions of Skype, you can share near HD quality video. Of course, in order to do this, you need the right camera. I picked up the Logitech C920 after I saw how it looked with a few of my Hangout friends. It provides crisp video in 16:9 format and works with almost any video service. I use mine on the Mac, so there are really no extra software controls available, but Windows users can use the included software to adjust white balance and a few other settings. In my case, I also use the webcam for one additional us — Timelapse movies. The high quality of the camera, along with some software on my Mac, turn it into an excellent time-lapse camera — allowing me to grab full screen HD quality movies using Evocam software. I have recorded time-lapse movies of myself working in the garden for my podcast, A Gardener’s Notebook, and it does a great job. Lorilyn Salamanca has been a close friend of ours since she was completing her Master’s Degree at nearby Cal State Northridge (CSUN). She was originally the student and friend of our friends, Helen and Enrique, but quickly became a close friend in her own right. Lorilyn has heard me preaching the New Media gospel for years now, and I have been coaching, consulting and cajoling her to use her own talents to get the word out about those issues which most concern her. Since moving to Hawaii over 8 years ago, she has worked for the WIC program, helping underprivileged families raise healthy kids. 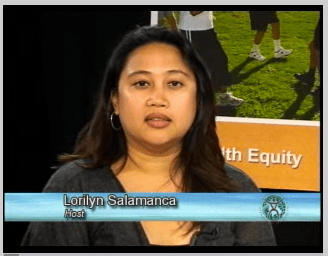 Just today Lorilyn let me know that she had stepped up her New Media “visibility” — as I have been pushing her for years — and is now the host of “Foundations for Healthy Generations” on the Hawaii Public Access channel, ‘Olelo. Like all good Public Access programs, ‘Olelo also makes all their shows available, on demand, from their web site. They can also be easily shared and embedded in blogs and other web sites. It is so great seeing Lorilyn extend her influence using a combination of traditional media and new media on the island. I wish her great success! This is exactly the type of Real World Example I would love to see other’s pursuing. Can’t see the video above? Watch it here! Who doesn’t like some “cool” in their lives? Cool Hunting provides a regular dose of cool through its video series highlighting cool stuff in design, art, engineering and more. 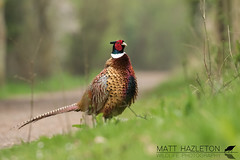 Cool Hunting is available both as a YouTube channel and a podcast via their web site. The videos are high-quality and shot with an eye towards the artistic while giving you insight into the people involved in the projects. I highly recommend Cool Hunting as a refreshing bit of entertainment for your mind. Hopefully it can spur you to some “cool” projects of your own. Visit the Cool Hunting YouTube Channel for more videos! What are some of your favorite YouTube Subscriptions? Share them here i the comments! 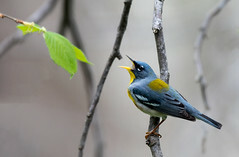 I came across this new iPhone app, Chirp, last night in my usual Internet reading and it got me to thinking immediately — couldn’t this app be used to create enhanced podcasts that automatically directed listeners to web sites, photos, notes and more at specific points in the show. This is my short demo on how it might be done. This certainly wasn’t something that the creators Chirp.io were thinking about when creating the app, but that doesn’t mean we couldn’t use it to our (i.e. podcasters) advantage. A hilarious collection of cat cartoons. As a cat owner, it all seems a bit too close to the truth. Simon’s Cat causes trouble for everyone, including himself in these short black and white adventures. This is the channel I turn to when I need a little laughter in my day. There are also Simon’s Cat books with large collections of comics based on the character. I have been moving away from mainstream broadcast and cable programming for a while and switching over to watching a lot of stuff on YouTube. My son, Joseph, has switched almost entirely to YouTube Channels for his entertainment viewing. I realized today that I should be highlighting some of the YouTube Channels I subscribe to for my daily entertainment (and educational viewing). Today’s new subscription is the PBS Idea Channel. This is a great collection of education and entertaining video on a variety of topics. I found the channel when I came across a blog post linking to their show on Minecraft, Makerbot and the Post Scarcity Economy. Below you will find a link to a playlist of all their videos. I highly recommend subscribing on YouTube so that you will be notified of each new video as it appears. * Just a reminder…you can also subscribe to my own YouTube Channel for videos on gardening, careers, technology, new media and more! Don’t see the video playlist above? Check out PBS Idea Channel on Youtube. Douglas E. Welch demonstrates how to edit a tape sync (or double-ender) recording of an interview for podcasting. A tape sync allows each party to record their local audio and then merge them together in the editing process, retaining the highest quality of recording for each participant. Douglas E. Welch presents on the Why, What and How of Blogging and why it is important to business, both large and small. Blogs should be an integral part of any web site. They allow you to easily update your web site without editing static pages, which means you will probably update them more often.